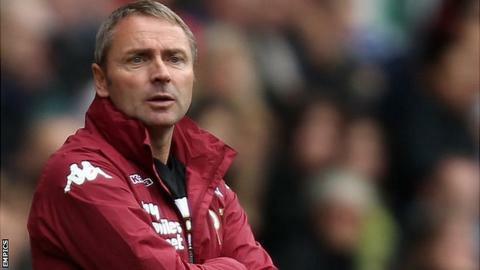 Derby County coach Paul Simpson has said the Championship leaders are eager to add to their squad in January. Head coach Steve McClaren was in the Netherlands on Sunday looking at players and Simpson told BBC Radio Derby that all of the club's scouting network had been busy in recent weeks. "We are looking to strengthen. We are all going to games and making trips to see players on the radar," he said. "But at this moment it is still very early and there is nothing to report." The Rams are top of the table by a point after a run of four wins from their last five games, including last Saturday's 3-0 win away against Brighton. But Simpson said it was important not to be complacent despite their impressive form. "If there are players out there who can come in and improve our squad, we want them," Simpson added. "It has worked for us so far. Look at George Thorne last year. He was banging at the door wanting to get into the side but he had to wait. "When he was ready, he got in and made the position his own towards the end of the season."